It's kind of funny how a name comes together, isn't it? 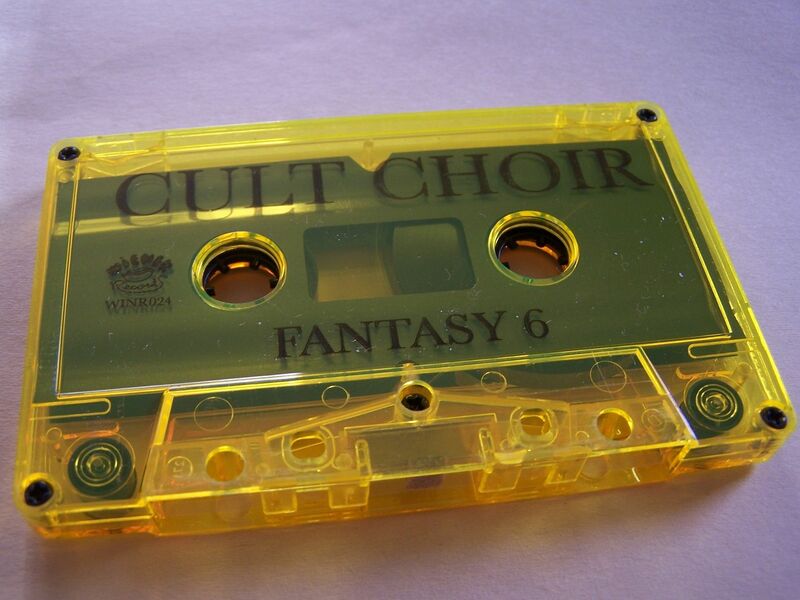 You can think of a choir as being what it is obviously, but what about a cult? I always think of "Bayside is a cult" every time I see the word "cult" now, but I must admit also that it also makes sense for this name to be Cult Choir because sometimes religion can resemble a cult and, well, if I was going to be part of a cult I would hope that we would have a choir. There are a number of different influences in play here and they take you through one of the most musically diverse cassettes you may ever have the pleasure of hearing. I've used this comparison with The Pale's "Gravity Gets Things Done" but I'm not sure if I've used it since, but "Fantasy 6" has that feel to it where you can tell all the songs are by the same artist somehow but yet they all still sound like their own little albums, much like Weezer's "Blue" album. Hints of the Flaming Lips come out just about as easily as those of Violent Femmes, and those two artists are seemingly on opposite ends of some spectrum so you know you're in for something special here. There are jazz horns and then when it gets acoustic he just belts it out. It reminds me a little bit of Blind Melon when it gets acoustic and then there is also what I can only describe as a sea shanty complete with accordion sound. After what I dub to be that sea shanty, there is a trippy sort of bliss that comes through and this takes us through the rest of "Fantasy 6" really with somewhat of a Doors vibe. It's got those organs but also just the psychedelic qualities and going back to the name this feels some hypnotic in its delivery at times, as if it is trying to get you into its cult. One of my favorite lines on this entire cassette is "How would you feel if when you wanted something real it meant only substance?" It makes me think of a lot of music out there that is designed to be so transitional, you know, you might listen to it last summer but then when fall or winter comes around it's deleted from your playlist and you're onto the next thing. 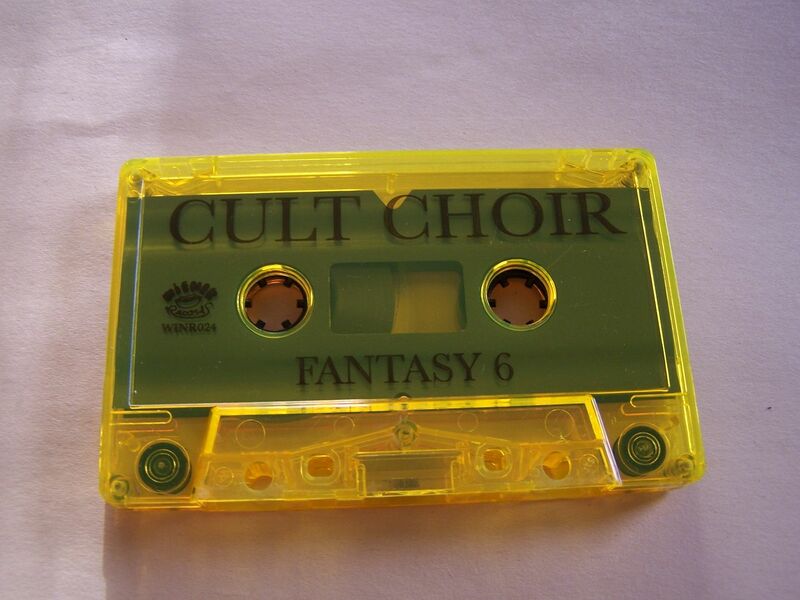 And yet, Cult Choir does not have that feeling (it is a lot harder to delete a cassette than a playlist) because this music does somewhat of the opposite as it seems to truly just pull you in.